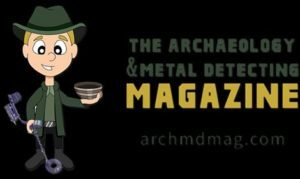 Bringing you the latest news and research from the Archaeology, Historical and Metal detecting world. 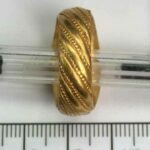 On Saturday 18th November 2017, I was out in the fields, there were no interesting signals on my Minelab Safari metal detector. Suddenly a weak signal appeared on the 1-9 scale and I stopped. I dug out a small hole and the signal was clearer, I changed the setting to relic program as I thought it was just some ordinary copper wire. When I dug up more of the soil I saw a golden colour. It was at a depth of 25-30 cm. I didn’t think It was possible, I couldn’t believe it. 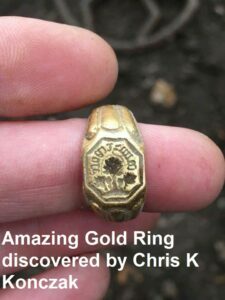 Next to me was another metal detectorist, I told him that I just found a golden ring. I never found anything when I was out on the field. No coins, nothing. 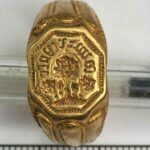 And here it was a golden ring. I placed the golden ring in my pocket. Upon placing the ring in my pocket, I carried on searching through the field. At this point I didn’t know if the ring was of any value. 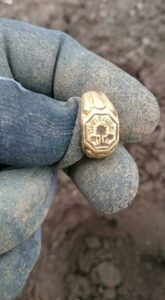 Instead of celebrating my find I carried on searching through the fields for a Roman coin which I’m always on the lookout for. 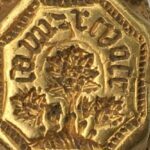 Initial reports set the ring as a medieval artifact from the 12th – 14th Century. At the end of the day, I found out that this ring has great value. 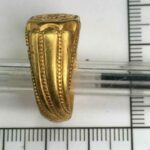 I was amazed that this ring was a great historical find. Currently I’m a member of the Metal Detectives Group was lucky day with my club. 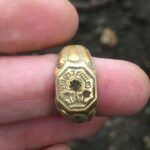 If you are able to assist with the identification and ageing of this fabulous artifact, please comment on this post and Chris will be kept informed of any new information.